Adorn your up-do with this pretty 1950s inspired hair pin for classic glamour. So pretty and utterly elegant, Garland of Charm Hair Pin take its inspiration from the 1950s. Featuring a delicate garland of light ivory faux pearls with sparkling Austrian crystal accents, this silver tone pin adorns a chic French pleat, low side bun or romantic chignon with vintage charm. 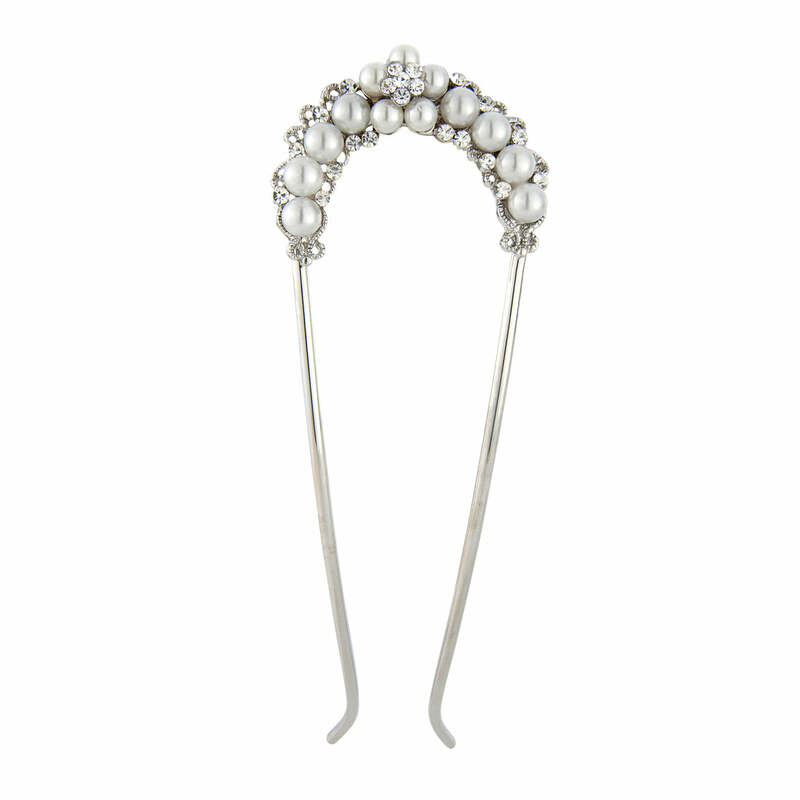 A beautiful wedding hair pin for brides who adore subtle 1950s wedding accessories or to dress bridesmaid's hair with pretty detail, coordinate Garland of Charm with delicate crystal and pearl jewellery for classic '50s style.